This week, Terra Informa is at the centre of some big questions. 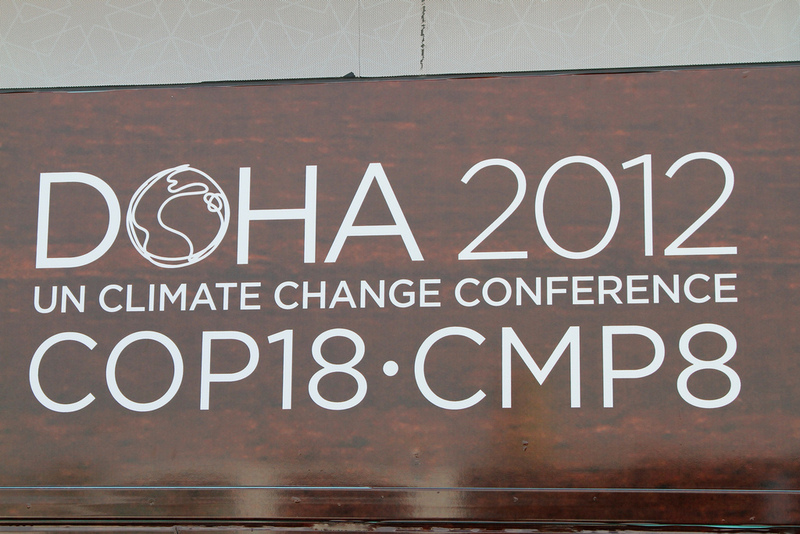 How can Canadian youth help push this year’s UN climate talks in Doha? Has our civilization laid a progress trap for itself? And what’s up with those possessed honeybees? Delegation on twitter at @CYD_DJC or go to the Canadian Youth Delegation blog. We all know that zombies aren’t real, right? Well, that may be true…for the most part. Most of us can sleep well at night knowing that zombie attacks and infection are the stuff of Hollywood horror fiction. But for the poor honeybee, zombification has become a very real, very deadly nightmare, and it’s calling some scientists to take action. Zombie honey bees—or ZomBees—are the latest threat to already troubled hives all across North America. To learn more, we contacted Dr. John Hafernik, a professor of Biology at San Francisco State University who’s also the director of ZomBee Watch, a citizen science project that’s trying to track this strange phenomenon. From San Francisco, California, listen to Hamdi Issawi’s conversation with Dr. Hafernik on “the flight of the living dead.” If you’d like to learn more about ZomBees or become a citizen scientist and contribute your own findings, visit ZomBee Watch. On November Twenty Third, The Parkland Institute kicked off its sixteenth fall conference in Edmonton, Alberta. The theme was Petro, Power and Politics, and the opening keynote was delivered by Canadian anthropologist and novelist Ronald Wright. Wright is best known delivering a CBC Massey Lecture which he called A Short History of Progress. For Friday’s lecture, Wright drew on this earlier work to discuss our modern environmental crisis, including climate change and loss of biodiversity. To chart our possible future, Wright looks back to examine the collapse of civilisations all across the world. It’s depressing business, and more than one audience member asked the obvious question: is there any hope at all? As Wright calls it, a little progress is good, but too much progress can be deadly. Over the past few centuries, the whole world has seen so much progress that it boggles the mind. Have we seen too much? Too fast? Progress of the right or the wrong kind? To start to understand Wright’s answer, we asked Terra Informer Trevor Chow-Fraser to walk through the beginnings of the current progress trap humanity—and the planet—are currently struggling to escape.